China Begins Sharing Data On The Brahmaputra, Sutlej Rivers: After so many year’s gap, China has resumes to sharing hydrological data on the Brahmaputra and Sutlej rivers with the India, which is an official of the Water Resources Ministry said. 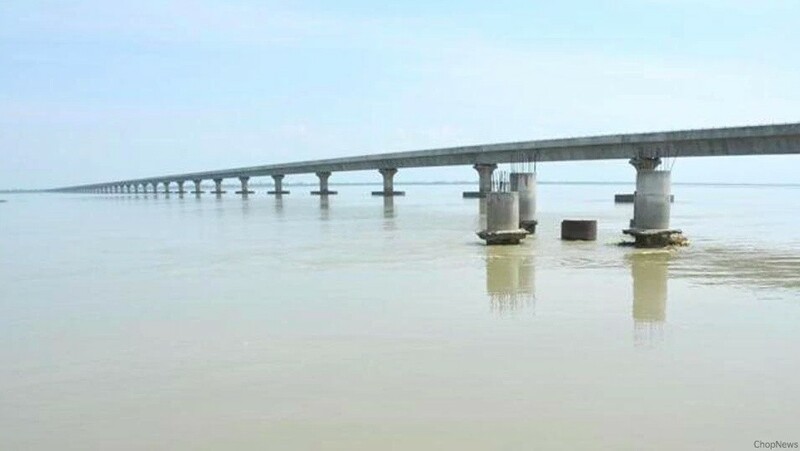 For river Brahmaputra, data was shared by China from May 15th, it is starts to sharing data for the Sutlej from June 1st. The problem is coming after the two sides that is held the talks over the issue in March. Data will have to shared twice daily until the month October. Last year, China stopped the exercise which is showing that the hydrological gathering sites were washed away due to the floods. It also coinciding with the 73-day Doklam stand-off that took place during the peak monsoon period. The sharing of hydrological data also coincides with the two sides that is agree to resume the annual exercise between the armies. The exercise is not taking place last due to the Doklam stand-off. The Brahmaputra is originating from Tibet and flows into the Arunachal Pradesh and Assam and later it is drains into the Bay of Bengal through Bangladesh. Sharing hydrological the data is very essential for generating information on the floods for the north-eastern states,” the official said. Beijing has now starts to provides the data from three hydrological stations that is Nugesha, Yangcun and Nuxia, lying on the mainstream of the Brahmaputra, which is also known as Yarlung Zangbo in China and from the station at Tsada for the Sutlej, which is called Langqen Zangbo, the official said. India also pays an annual amount of Rs.1 crore to the China for providing data on these two important rivers, the official adds. Interestingly, after the bilateral talking between Prime Minister Narendra Modi and Chinese President Xi Jinping on Saturday, an agreement has signed between India and China to sharing the hydrological data for the Brahmaputra. So, these are the points to describe on the China begins sharing data on the Brahmaputra, Sutlej rivers’. Suggest your viewpoints on the above mentioned Article.